Almond introductions grew in four out of the five key categories for almonds worldwide, including confectionery (22%), snacks (19%) and bakery (17%), as well as bars (16%) and cereal (8%), according to a report by Innova Market Insights. This growth helped almonds maintain their long-held position as the top nut in global new product introductions. The report also highlighted the top claims used on packaging of products with almonds globally, noting that ‘gluten-free’ was the top claim used (24%). 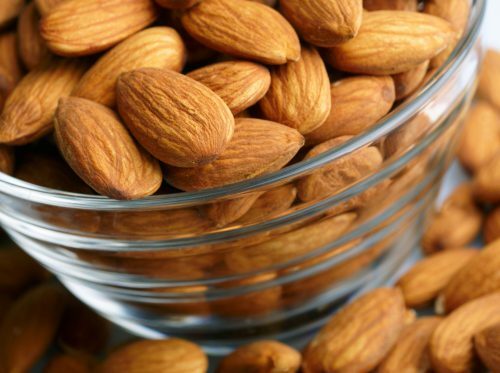 Following trends and consumer demands for clean label products, claims of ‘no additives/preservatives’ were the second most used on almond product introductions globally, communicated on 15% of almond products. In a nod to almonds’ well-known texture, ‘crunchy’ was used as a descriptor significantly more frequently than other texture claims on almond products. “With free-from and clean label products now so mainstream, we frequently see almonds’ attributes named on packaging,” said Lu Ann Williams, director of innovation, Innova Market Insights. In North America, 48% of product introductions with nuts contain almonds, which are also the number one nut used in new products across the top five key categories: confectionery, snacks, bakery, bars and cereal. Bars lead the charge for new almond product introductions in North America, up 17% since 2016. In Europe and Asia Pacific, almonds are the top nut for new product introductions, while Latin America saw the highest level of growth for almond introductions in 2017 (24%). Europe leads almond product growth overall, with a 47% share of global introductions for the second year in a row, with bars and snacking driving almond product growth by 53 % and 32% respectively. Almonds can now be labeled ‘healthy”, according to the Food and Drug Administration, and when compared ounce for ounce, almonds are the tree nut highest in six essential nutrients: protein (6 g), fiber (4 g), calcium (75 mg), vitamin E (7.4 mg), riboflavin (0.3 mg) and niacin (1 mg).